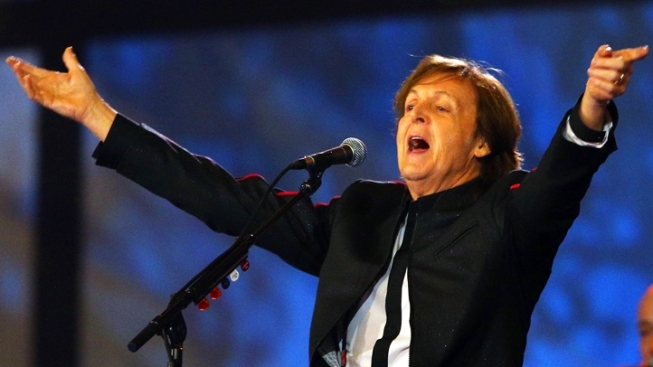 Plans for a McCartney Candlestick farewell may be upended... by the 49ers. It looks like the 49ers' new stadium is trying to steal a rumored Paul McCartney concert away from poor old Candlestick Park. The Chronicle's Matier and Ross reports, during a recent tour of Candlestick, Sir Paul's people let it slip Levi's Stadium was interested in an opening concert involving McCartney, whose former band, the Beatles, played their last ticketed concert at the ‘Stick back in 1966. Previously, San Francisco Mayor Ed Lee had personally invited McCartney to close down Candlestick, and city officials thought that a Paul concert was a "done deal," the San Francisco Chronicle reported. Meanwhile, 49ers ownership made their own offer to the ex-Beatle: forget that old heap in the city and come play at Levi's Stadium, according to the newspaper. Team officials say that the idea of a Levi's show was promoter Live Nation's, according to the newspaper. Nevertheless, city officials feel "betrayed" and maligned by the 49ers. They feel this is just the latest in a "string" of slights slung at San Francisco since 2006.